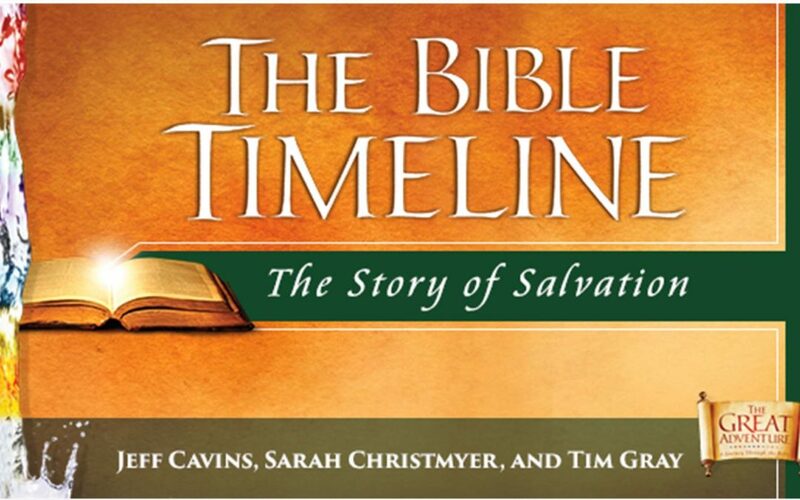 The Bible Timeline takes participants on a journey through the entire Bible. They will go deep into each period of salvation history and discover the amazing story woven throughout all of Scripture. Using a unique color-coded system, they will learn the major people, places, and events of the Bible and see how they all come together to reveal the remarkable story of our faith. This is a 23 week program, but sign up and attend as often as you can. Videos will be available online to keep you up-to-date. Can’t come to the session, but still want to learn? Sign up to receive the videos on line. There will be a cost for the materials.